Being somewhat of a “learning junkee”, I read lots of books, watch lots of videos, follow a handful of blogs and receive regular newsletters / magazines from several sources. I’ve learned very valuable information from so many of them, but I’ve found that I also come across concepts and opinions that just don’t resonate with me. I’m continually evaluating what I read and see, bouncing it up against my own experience, other things I’ve read/saw and what I know about the source. And I encourage you to do the same. I've listed some favorite resources, but this list is far from being comprehensive. I'll be adding to it and updating regularly, so check back often! A few of my favorites, most available for checkout to current Savvy Dog clients. Or click on the link to purchase from Amazon. If you’re only going to read one book about dog (and human) behavior, this book would be the one to choose. Patricia McConnell is an internationally renowned animal behaviorist, radio show host, speaker and author. She has written a number of books, but this one is considered to be a classic! At first, this book may make you uncomfortable. The author is very direct about dispelling what she calls the “Disney” approach to dogs and some of these thoughts may seem contrary to what you’ve always heard and believed about the dog-human bond. But stick with it and this book will really help you approach training from the dog’s point of view. You will understand why dogs do what they do and how to use that knowledge to get results with your training and deepen your relationship. 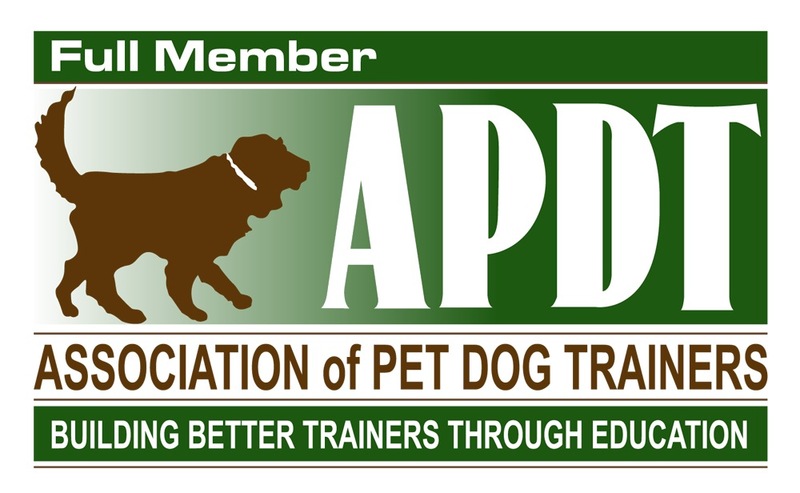 Gail Fisher is a professional dog trainer who has transitioned from a traditional “compulsion” style of training to using positive reinforcement and specifically “Clicker Training”. This book provides some background and perspective, from the author’s point of view and experience, on different training styles and their effectiveness. It also provides good technical information on what it means to use “clicker training” and why Gail chose to restructure her whole business model around the concept. I’ve heard Gail speak and she’s a very engaging, intelligent woman who clearly loves helping people and their dogs have a great life together. “Calming Signals” is a phrase coined by the Norwegian author to describe the social skills, primarily exhibited through body language, that dogs use to communicate with each other. Understanding these signals and honoring them in your day-to-day life with your dog will build trust, establish better communication and allow you to effectively teach the behaviors you want to see. This book is relatively short and to the point, with lots of pictures. Jon Katz is a writer with a number of bestsellers to his name, many of them centering on the dogs that have shared his life over the years. He’s insistent that he’s not a dog trainer and that this e-book is not a “dog training book”. Instead, he characterizes it as a “manifesto” about what he’s learned from his dogs and how he approaches training them and incorporating them into his life. This book is a quick read, only costs $2.99 to download and appeals to me because of the focus on encouraging people to think for themselves when it comes to their dogs and how to train them; you do not have to be an automaton for one style or philosophy of training to have a “well-trained” dog. Dog Star Daily (www.dogstardaily.com) A free website for dog lovers — a daily magazine with news, blogs, and articles about dog behavior, and a comprehensive digital dog training textbook with everything you need to know about training your puppy or dog. Wilde about Dogs (www.wildewmn.wordpress.com) Nicole Wilde is an internationally known author, trainer and speaker whose background includes many years of rescue work with wolf dogs and working with Los Angeles city animal shelters. Her blog is well written, informative and insightful. Canine Nation (www.caninenation.ca) Eric Brad is a dog trainer, agility competitor and a writer. His blog is published regularly on the website Life as a Human and his approach to training is inspirational. The Whole Dog Journal (www.whole-dog-journal.com) A website and subscription newsletter providing a wide variety of information on healthcare, dog food and training from a holistic point of view. The Bedlam Farm Journal (www.bedlamfarm.com) Written by Jon Katz and described by the author as “my daily account of my life as an author, photographer and human being.” His three dogs, Red, Frieda and Lenore, make frequent appearances in the blog; I particularly love reading about Red, the working border collie who launched a side career as a therapy dog during 2013.